Visit the TMRW Gallery in Keyes, Rosebank for a side-by-side VR art experience from Thursday, 11 April – Saturday, 4 May 2019. TMRW Gallery, 19 Keyes Ave, Rosebank, Johannesburg. The TMRW Gallery is a space for artistic exploration and hi-tech play. Located in the Keyes Art Mile, TMRW operates at the intersection of art and technology. Their mission is to blend augmented, virtual and mixed reality as tools for artistic real-world experiences. 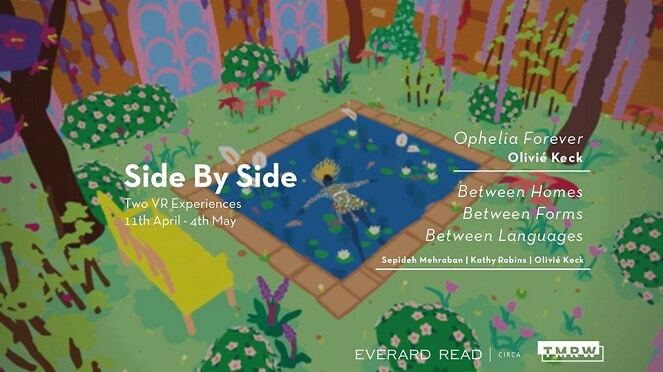 Their latest exhibition titled Side By Side is a double VR art experience, featuring artists Olivié Keck, Sepideh Mehraban and Kathy Robins. The exhibition opens with Keck’s latest body of work titled, Ophelia Forever. This Virtual Reality experience re-imagines a contemporary iteration of the Ophelia myth. Using the digital medium of VR, Keck brings this classic story to life with her contemporary love of colour and form. The work immerses the viewer in the uneasy sensation of voyeurism. As they step inside a moving painting, they become witness to a colourful crime of passion suspended in time and motion. The second VR experience is a curated collaboration between Keck, Mehraban and Robins, titled Between Homes, Between Forms, Between Languages. This work is a response to the current issues around diaspora, belonging and the concept of home. Each artist has responded to the abstract notion of language, home and space within the immersive digital medium of Virtual Reality. The collaborative project explores these artists’ belief that VR should be a universal landscape that exists without boundaries, limitation or territory – A new frontier to explore a brave new world. 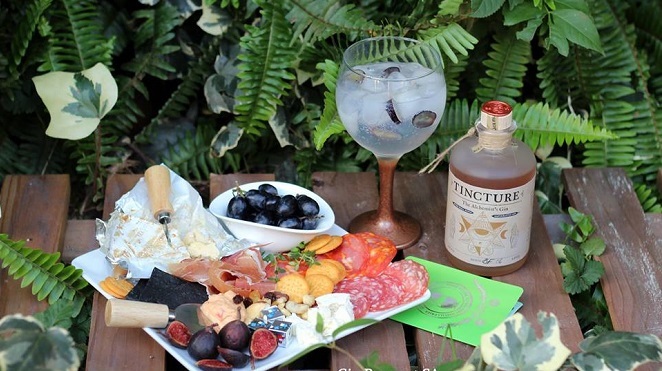 Thursday, 11 April – Saturday, 4 May 2019. The exhibition opens on Thursday, 11 April 2019 at 18:30. TMRW Gallery, 19 Keyes Avenue, Rosebank, Johannesburg. For more information, visit the TMRW Gallery’s Facebook page or their website.